The City of Ottawa anticipates density building developments associated with three transit stations in the Stage 2 Light Rail transit project, potentially generating additional municipal tax and development rights revenues. The Pinecrest, Cleary and Baseline stations have opportunities for new developments around or above the trains. However, the city doesn’t expect to co-ordinate development opportunities around the Gladstone station because it won’t have ownership or control of the land there. A study by N. Barry Lyon Consultants suggested the opportunities for rapid development in the vicinity of the four stations. Possible developments around the Baseline station include 2.7 acres of an existing Woodroffe Ave. parking lot and 2.6 acres of land at Baseline Rd. and Woodroffe. 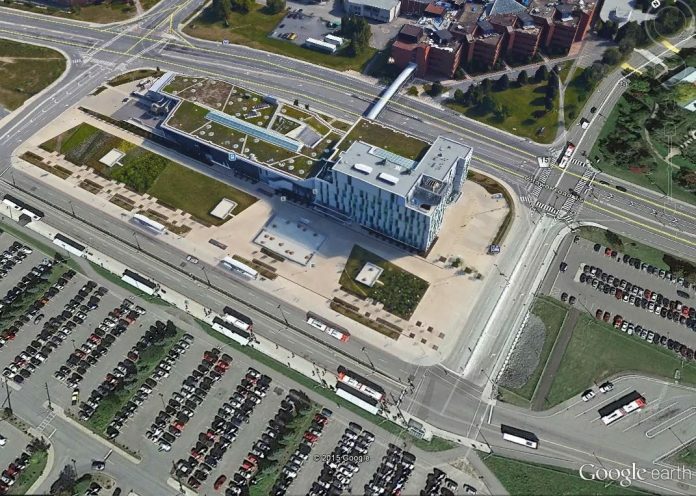 This land could be developed into a Centrepointe Town Centre as outlined in a concept plan. The Ottawa Citizen reports that the Pinecrest lands at the northwest corner of Hwy 417 and Pinecrest Rd. 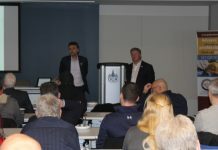 are owned by the province, but Chris Swail, the city’s director of O-Train planning, said the city would either pay market price for the 4.7 acres or propose a land swap. The city also would like to purchase a plaza property at 747 Richmond Rd. to build the Cleary station and there’s a good opportunity to build above it. There are synergy opportunities when LRT stations and neighbouring development designs are co-ordinated. 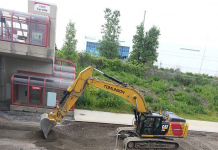 Municipal officials said bidders for the LRT’s first phase asked about station specific development opportunities along the Confederation Line, “but the city couldn’t respond because of the structure of the tender,” the Citizen reported.